These young roboticists are building the first generation of driverless boats that can think for themselves in an emergency. Next month they will test their maritime mettle at the first-ever international marine robotics competition, in Singapore. 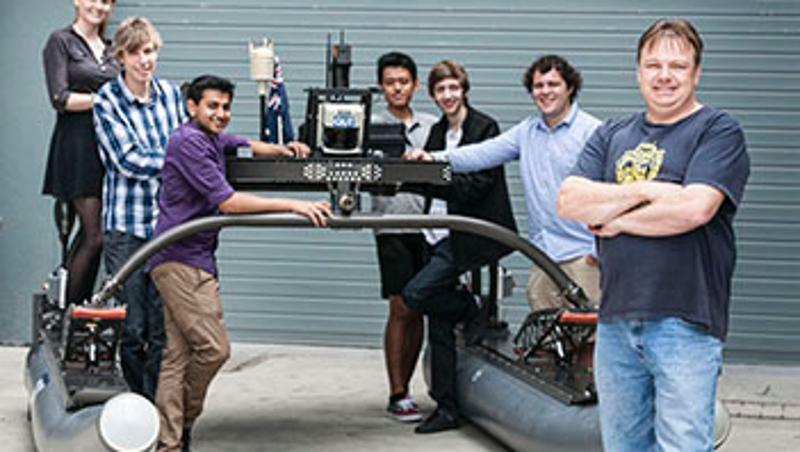 QUT roboticist and team advisor Dr Matt Dunbabin said the competition was designed to increase the autonomy of robotic boats so they could soon be performing real-world tasks in real-world environments, including searching for debris or oil slicks and finding overboard boaties in rough seas. "Like a plane on autopilot, current autonomous boats can get from from point A to point B but they aren't capable of working in changing environments where the unforseen can happen," Dr Dunbabin said. "This competition is a test bed for creating the technology needed to build robotic boats that perform the dull, dirty and dangerous jobs human mariners can't or don't want to do. 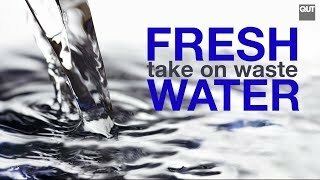 "The technologies we're developing for the competition we believe will one day save lives on the water. "This generation of boats will be the first to perform search-and rescue-activities in cyclonic weather, for instance, when it's too dangerous for emergency services personnel to be on the water." The Maritime RobotX Challenge will see QUT and other competitors put their robot boats through five marine missions, ranging from simple navigation through to complex docking and detect-and-avoid manoeuvres. While the boats' frames were supplied by the competition organisers, the teams must design and develop the sensors, hardware and software needed to complete the missions. "It's a really exciting project to be a part of - rarely do undergraduates anywhere in the world get to work on advanced technologies like this," said third-year mechatronics student Riki Lamont. 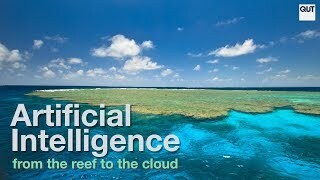 "We're essentially using our own know-how to put the Google driverless car into a boat. "It was a competition just like this one that drove the innovations that led to the driverless car - we're confident we can do the same for maritime technologies." The Maritime RobotX Challenge runs October 20-26 and involves teams form Australian, Singapore, Japan, South Korea and the USA. QUT's team is seeking help from local businesses to make the strongest showing in Singapore. "Without some more sponsorship we won't be able to get our boat and team to Singapore," said second-year mathematics and IT student Chris Dirkis. "We particularly need support to freight the boat there and back, and for some specific marine equipment." QUT is a world leader in robotics. It is home to the new $19 million Australian Research Council Centre for Excellence for Robotic Vision. One of the largest groups of its kind in the world, the centre brings together researchers from QUT, University of Adelaide, ANU and Monash University, with overseas partner universities Oxford, Imperial College, ETH, INRIA and Georgia Tech. QUT's Science and Engineering Faculty is searching for bright PhD students from across the country to join its robotics team. Candidates can contact t.peynot@qut.edu.au for more information. Robots - how long before they're part of the family? Kate Haggman, QUT Media, 07 3138 0358, kate.haggman@qut.edu.au.